Oregon’s RPS is a fairly impressive one. A RPS, or renewable portfolio plan, calls for a certain amount of energy to be produced via renewable means. By 2025, Oregon hopes to produce 25% of their energy from renewable sources. Considering the fact that Oregon also draws electricity from hydroelectric sources, Oregon has always used renewable energy to produce some of its electricity. While Oregon does have a solar carve-out, this carve-out is only available for solar farms or installations over 500kW (much, much larger than any residential installation could hope to be). In order to combat potentially costly utility costs, you can save money by going solar in Oregon. By leasing a solar panel system for your home, you may be able to save over $300 a year. As you already might know, $300 can go a long way. Wouldn’t you rather keep $300 to yourself instead of wasting it on utilities every month? On average, a 5kW solar system purchased in Oregon may cost you about $22,000 initially. Between rebates and tax credits you may reduce your final first year costs to as little as $9,000. Over a period of nine years, most solar panel systems in Oregon pay for themselves based on the system’s energy output. A PV system can also add about $15,000 in home value alone. Over a fourteen year period, the system may turn out a profit of $17,515. A solar PV system, when you consider the money you could potentially be saving and rebates and tax credits in Oregon, is a fantastic investment. While it may be an initially heavy investment, there are so many things to look forward to that it can be a great move over the long run. You may even be able to turn a profit by producing your own electricity. Talk to our trusted solar installers today to find out what you can expect to gain from this incredible investment. Granted, utility costs in Oregon aren’t the worst in the nation. 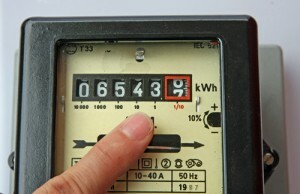 As a resident, you usually pay about $.11/kwh. Due to Oregon’s heavy usage of hydroelectricity, you don’t necessarily have to worry about rising fossil fuel prices but adopting solar energy can still be great way to grow less dependent on the general electric grid and become more self sufficient. Oregon offers an excellent statewide program, which has the potential to help you save a significant amount of cash on the initial purchase of your solar system. Altogether, it may help you save up to $9,500, which as you may notice is a significant chunk of your initial investment. Even better? This program actually accounts for people who lease the system, allowing them to receive a partial rebate. If you own the system, you’ll be eligible for $950/kw and if you lease the system you’ll be eligible for $750/kw, with a maximum cap of $9,500 for owners and $5,000 for leasers. But this is for customers who draw their energy from PGE. Pacific Power customers can expect to gain about $700/kw. Oregon offers a solar tax credit but it works a little differently in Oregon versus other states. 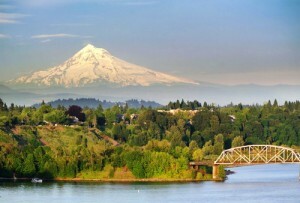 In Oregon, your tax credits are subject to a maximum cap of $6,000. This will be received in $1,500 credits to your tax return every year for four years until the whole amount is rewarded to you. You will receive approximately $2,100/kw. As of right now, you can also consider the Federal solar tax credit as well, which gives you a credit of 30% of the system’s cost. The Federal solar tax credit program expires in 2016 and is available for systems installed before or during 2016’s tax year so be sure to act fast. You will be able to enjoy 100% property tax exemptions when you install a solar power system in Oregon. This is fantastic when you consider the fact that the systems can add anywhere from $15,000 to $20,000 in additional home value. Oregon does not have a solar sales tax exemption because there is no sales tax in Oregon, period. When you live in Oregon, you won’t need to account for sales tax in your budget in any case. Regardless of whether or not you have rebates available to you, purchasing a solar panel system can be a hefty investment. But there are financing solutions. One option you may want to consider is leasing a system. Either way, it can be a fantastic option for you in many respects. From financial benefits to environmental contributions, buying or leasing a system means fantastic things for you, especially once you start seeing returns from the power your system is producing. Is it Worth Investing in Residential Solar Energy in Oregon? A solar panel installation can save you about $300 a year on average and turn a profit of over $17,000. So there’s a lot you can financially gain from buying a solar panel system. But even leasing the panels can lead to huge energy savings and help you become less dependent on the utility grid. Either way, residential solar energy is a fantastic option for you as a homeowner in Oregon, especially if you’re looking to find a way to give back to the world. It may take time to see these returns come back for you but you’ll be glad you made the investment. Leasing a system allows you to obtain a solar system for zero money down. In many situations, this can be a fantastic solution for those of you who can’t afford to make a hefty investment. Leasing a system can still allow you to save an incredible amount of money each year. Over a 25 year lease, you may be able to save as much as $9,064. If you would like to purchase the system, some lease agreements let you purchase the system after the lease terms expire, giving you the option to experience both a lease and owning eventually, depending on your situation. One should keep in mind that solar PV owners will receive the best access to incentives and tax credits/exemptions. 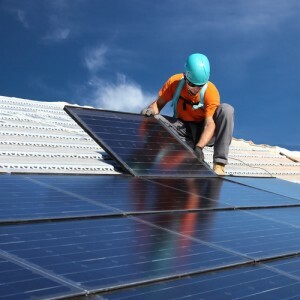 In the state of Oregon, however, residents who lease their panels can still gain access to some rebates, albeit at lower rates than solar panel system owners. One should always take the availability of incentives in Oregon into account before making a final decision about whether to buy or lease. Can I Lease or Should I Buy Instead? Whether you lease or buy a solar panel system depends on your own unique situation. Leasing can be a great way to obtain a solar panel system even if you can’t afford to make the initial investment. And when your lease expires, you may be able to buy the system so it’s definitely an option to consider. When buying a system, you’ll have full access to all potential rebates and tax credits, which should definitely be taken into account as these rebates and tax credits can significantly reduce the initial cost of a solar panel system, making it easier to obtain one. Either way, buying or leasing a solar panel system can be a great investment for you and it will help you significantly reduce your utility bills. Not sure what option is best for you? Talk to our Solar Experts Today. By going over all your potential options, you can consider your financial situation and what you expect to gain from this investment, helping you make the best decisions for you. You have a lot of options when it comes to taking advantage of all the sun’s potential when it comes to producing your own energy so be sure to consider all your possible options. What About Oregon Net Metering? Oregon offers both performance payments and a net metering program. Net metering is a process which requires you to connect your panels to the general electric grid. The energy produced by your system can then be monitored. Any extra energy you don’t use can be redeemed for credits on your next energy bill. Unfortunately, these credits don’t roll over from month to month but these can still be a fantastic way to significantly reduce your utility bills. Performance payments allow you to be rewarded for the surplus energy your system produces. In Oregon, it’s a little different. By opting for some rebates, you might not be able to also take advantage of the performance payment program. But the performance payment program is an option to consider. These allow you to be paid for the surplus energy you produce, which makes it a fantastic option for anyone considering solar energy. Programs vary by regions so be sure to get in touch with either your utility company or a qualified solar panel installation team to find out what you may expect to gain from performance payment programs. Oregon, as a state, is committed to saving the environment and keeping the rest of Oregon green. Oregon already encourages both utility companies and residents to consider renewable energy. Solar energy is a great way to honor this commitment. By installing a solar panel system, you can do your part to save the environment. But that’s not the only benefit you can expect to gain from going solar in Oregon. There are a lot of financial benefits to consider as well. In as short as nine years, a solar system can pay for itself by just the energy produced by the system alone. Over the life of the system, you may even be able to turn a $17,000 profit. You’ll be able to significantly cut the cost of your utility bills. While utility bills in Oregon are lower than the national average, utility bills still comprise a significant portion of someone’s monthly expenses. Oregon’s excellent rebate programs can help reduce the cost of your PV system. Between that and tax credits, residents who buy their solar panel system will be able to more easily afford the initial investment. Even residents who lease their system, allowing them to obtain a solar panel system for zero money down, can still enjoy incredible energy savings and participate in some of Oregon’s rebate programs. Net metering and performance payments allow Oregon residents to both significantly save on their utility bills and potentially profit from their system’s energy output. Either way, solar energy can be a fantastic way to both help the environment and save money. Depending on your unique situation you could enjoy a lot of benefits from installing a solar panel system so we recommend you talk to our trusted solar experts today to get started.